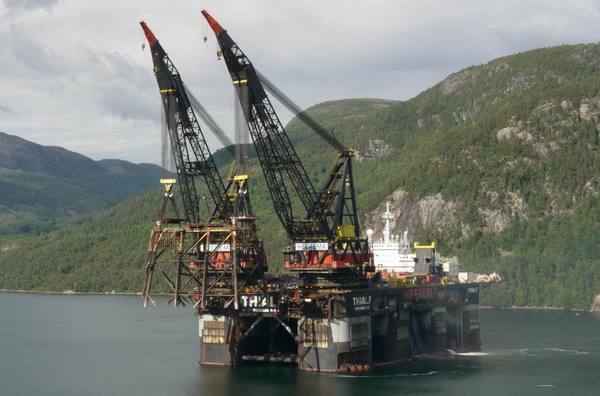 Thialf, our largest deepwater construction vessel (DCV), is capable of a tandem lift of 14,200 t (15,600 short tons). 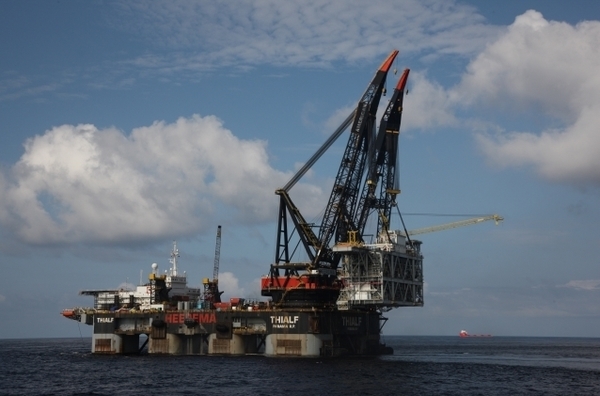 Its two cranes provide for a depth reach lowering capability as well as a heavy lift capacity to install topsides. This multi-functional dynamic positioned DCV is customized for the installation of foundations, moorings, SPARs, TLPs, and integrated topsides, as well as pipelines and flowlines. The living quarters are equipped to accommodate 736 men. All quarters have heating and air conditioning facilities. The helicopter deck is suitable for a Boeing Chinook 234. 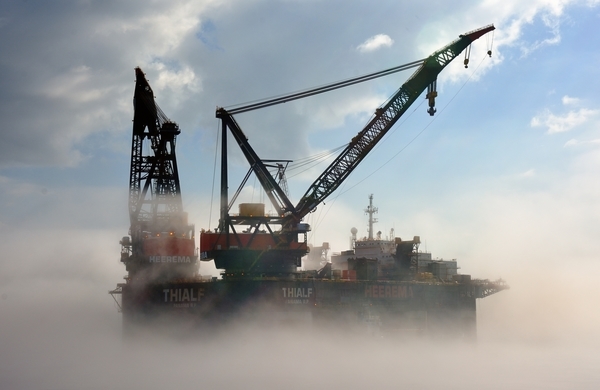 Thialf has life-saving and fire-fighting equipment in accordance with the latest governmental requirements. 12 Delta Flipper anchors of 22.5 t each, on 3 1/8" wire ropes of 2,400 meters (8,000 ft) long. Minimum breaking strength 480 t. Kongsberg Albatross ADP 503 and ADP 311 automatic and dynamic positioning and mooring assistance. Containerized saturation diving system with diving bell can be made available. 95 m (312 ft) above work deck for each crane. Lowering depth of auxiliary hoists 460 m (1,500 ft) below work deck at minimum radius. The lowering depth of main hoist at minimum radius with 3,500 t is 307 meters below heel point and with 2,990 t, 351 meters below heel point. Heel point is 24.4 meters (80 ft) above work deck. Main hoist 14,200 t (15,600 st) at 31.2 meters (102 ft) radius (subject to stability calculations). Ballast pump capacity 20,800 cubic meters/hour. 6 x 5,500 kW - 360 degrees azimuth, total thrust 400 t.
Transit speed with 1 tug max. 7.0 knot at 12.5 m draft. Transit speed with 12,000 tons deck load 6 knots at 12.5 meters (43.6 ft) draft.